Not long ago on an off-road adventure we had an opportunity to meet and talk with some of the folks behind Toyota Racing Development’s (TRD) products for the FJ Cruiser and Tundra trucks. TRD is Toyota’s team responsible for taking what they have learned from racing and turning it into products for the consumers who want more than basic grocery getter transportation. 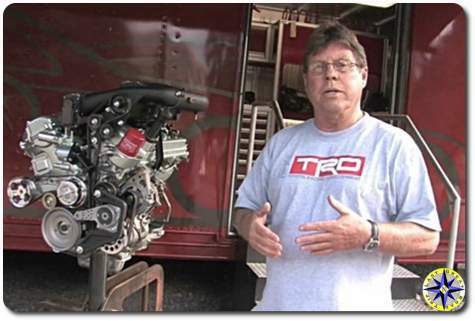 The TRD super charger is just one of the many products that the team has brought to market.